(DEC 29) What a way to end the year. On Dec. 31st, Venus and the slender crescent Moon will gather together high in the southwestern sky for a beautiful conjunction visible for hours after sunset. The two brightest objects in the night sky can be seen through city lights and even fireworks--so everyone can enjoy the show. Meanwhile, closer to the horizon, Mercury and Jupiter are converging for their own Dec. 31st conjunction. This one is not so easy to see, but rewarding for those who make the effort to find the two planets shining through the rosy glow of sunset. 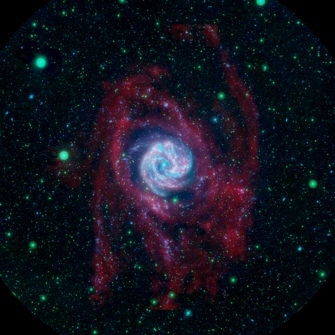 Visit http://spaceweather.com for sky maps and photos of the converging planets. (DEC 23) Hawthorne, CA - NASA today announced its selection of the SpaceX Falcon 9 launch vehicle and Dragon spacecraft for the International Space Station (ISS) Cargo Resupply Services (CRS) contract award. The contract is for a guaranteed minimum of 20,000 kg to be carried to the International Space Station. The firm contracted value is $1.6 billion and NASA may elect to order additional missions for a cumulative total contract value of up to $3.1 billion. Under the CRS contract, SpaceX will deliver pressurized and unpressurized cargo to the ISS, and return cargo back to Earth. Cargo may include both NASA and NASA-sponsored payloads requiring a pressurized or unpressurized environment. SpaceX will provide the necessary services, test hardware and software, and mission-specific elements to integrate cargo with the Dragon delivery capsule. In 2006, SpaceX was named a winner under NASA's Commercial Orbital Transportation Services (COTS) competition. Under the existing COTS agreement, SpaceX will conduct the first flight of its Falcon 9 launch vehicle and Dragon spacecraft in 2009. The final flight, currently scheduled for 2010, will demonstrate Dragon's ability to berth with the ISS. (DEC 19) ST. LOUIS -- The Boeing Company [NYSE: BA], through its commercial launch business, has received a contract to launch the fourth satellite for the COSMO-SkyMed (Constellation of Small Satellites for Mediterranean basin Observation) program for Thales Alenia Space Italia, prime contractor of the Italian Space Agency. The COSMO-SkyMed spacecraft is expected to be launched in 2010 from Vandenberg Air Force Base, Calif., on a Delta II vehicle in the 7420-10 configuration. Boeing Launch Services will procure the launch vehicle and related support from United Launch Alliance, a Boeing-Lockheed Martin joint venture. 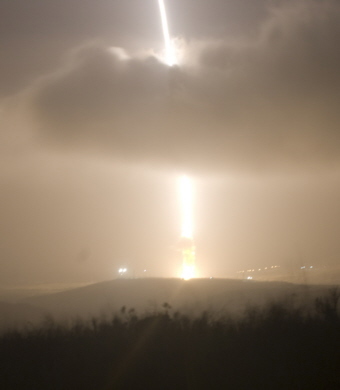 To support a rapid initial operating capability, Boeing successfully launched the first three COSMO-SkyMed satellites from Vandenberg within the 17-month period between June 2007 and October 2008. 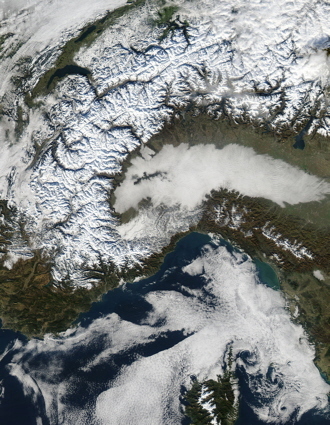 Thales Alenia Space Italia developed the COSMO-SkyMed program for the Italian Space Agency and the Italian Ministry of Defense. It is an end-to-end Earth-observation system comprised of four medium-sized satellites and supporting ground stations, which provide orbit-control systems and data reception and processing. 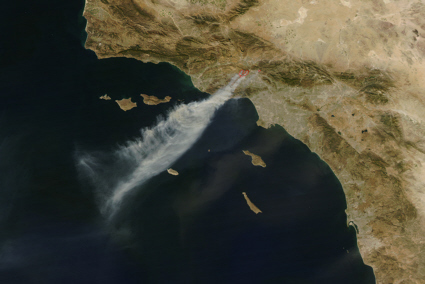 The system takes imagery of the Earth using an X-Band Synthetic Aperture Radar instrument capable of operating in all visibility conditions. Its institutional and commercial users include members of the civil, scientific and defense communities. 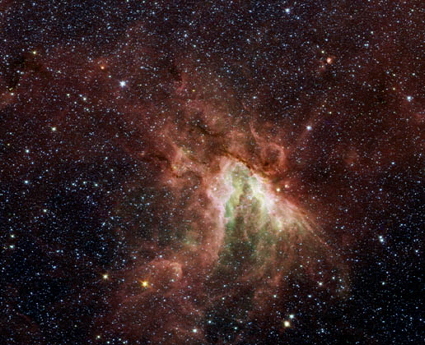 NASA's Spitzer Space Telescope has captured a new, infrared view of the choppy star-making cloud called M17, or the Swan nebula. 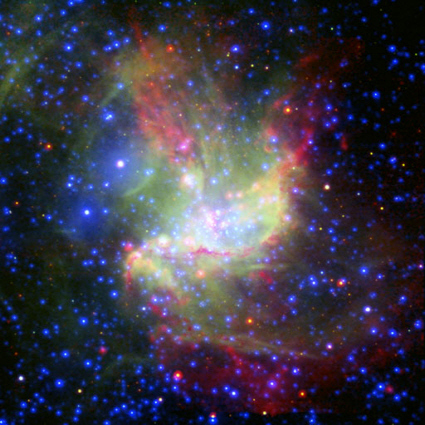 The cloud, located about 6,000 light-years away in Sagittarius, is dominated by a central group of massive stars. 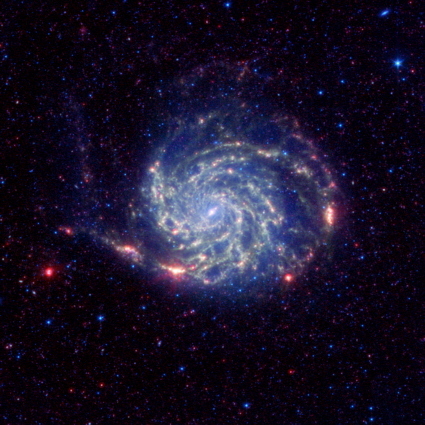 The stars give off intense flows of expanding gas, which rush like rivers against dense piles of material, carving out the deep pocket at center of the picture. Winds from the region's other massive stars push back against these oncoming rivers, creating bow shocks. 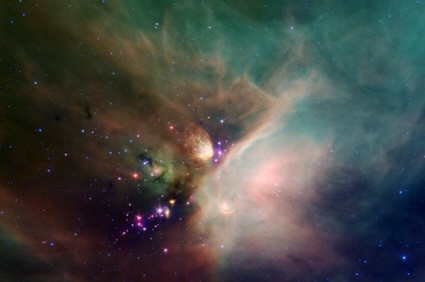 Spitzer operations are conducted at the Spitzer Science Center at Cal Tech in Pasadena, Calif. 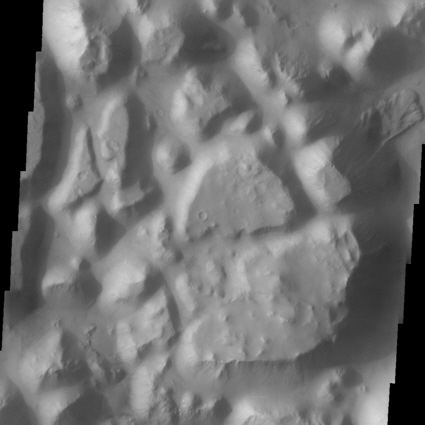 Image courtesy NASA/JPL-Caltech/Univ. of Wisc. (DEC 12) Earth is entering a stream of debris from extinct comet 3200 Phaethon, and this is causing the annual Geminid meteor shower. The shower is expected to peak on Dec. 13th and 14th. Normally, as many as 100 meteors per hour shoot out of the constellation Gemini, but this year a bright Moon will interfere with the display, reducing hourly counts to only 20 or so. That's could still be a nice show. For best results, watch the sky from 10 pm local time on Saturday night (Dec 13th) until dawn on Sunday morning (Dec. 14th). VANDENBERG AIR FORCE BASE, Calif. - The Missile Defense Agency is scheduled to conduct a test of the ground-based interceptor system between noon and 4 p.m. here Friday. During the evaluation, an interceptor launched from the Ronald W. Reagan Missile Defense Site here will be tested against a target missile, launched from Alaska's Kodiak Island. The main objective of Friday's test will be to exercise the operational configuration of the interceptor missile. This Thanksgiving weekend, the sky's two brightest planets stand poised to pass each other in evening twilight. A slim crescent Moon will join the pair December 1. 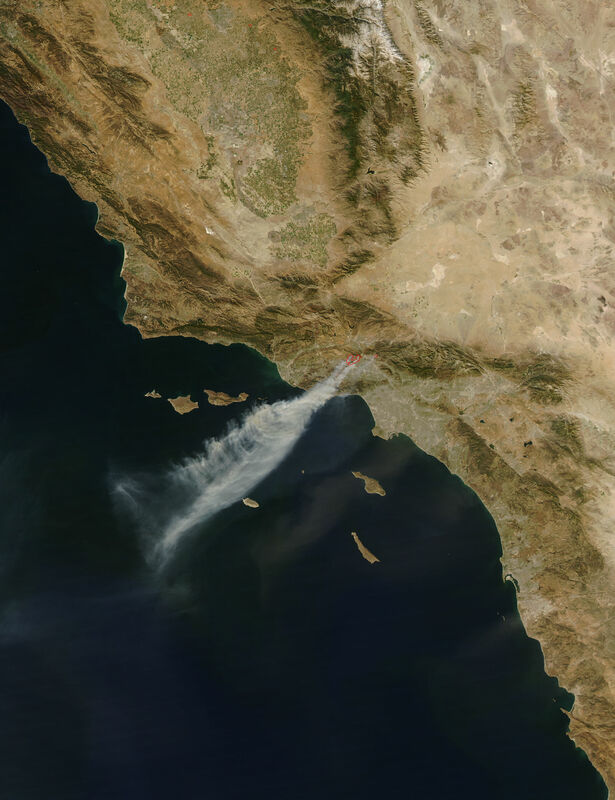 (NOV 20) EL SEGUNDO, Calif. -- Raytheon Company has completed integration, baseline performance characterization, and vibration testing of a space-based sensor intended to help NASA scientists better understand the effect of aerosols on global warming and climate change. 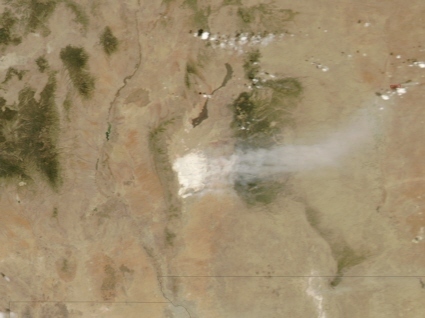 The Aerosol Polarimetry Sensor will conduct a three-year climate monitoring mission from NASA's Glory satellite. 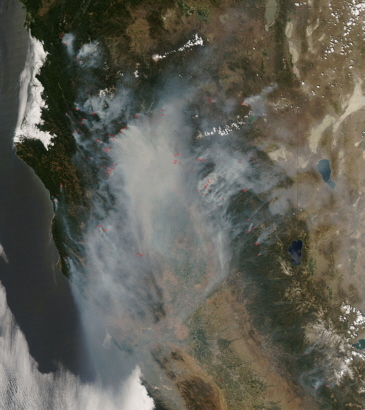 With 161 optical elements, including six precision-aligned telescopes, the sensor is designed to distinguish and characterize various aerosols and accurately measure their global distribution and lifetime. The device will next undergo electromagnetic interference and thermal vacuum testing to confirm its performance in space-like conditions. Raytheon expects to complete the environmental tests in time to deliver the sensor in the first quarter of 2009. Glory is scheduled for launch from Vandenberg AFB in mid-2009. (NOV 6) The annual Taurid meteor shower is underway and it could be a good show. 2008 is a "swarm year" for the Taurids. Between Nov. 5th and 12th, Earth is due to pass through an unusually dense swarm of gritty debris from parent comet 2P/Encke. When a similar encounter happened in 2005, sky watchers observed a slow drizzle of midnight fireballs for nearly two weeks. Whether 2008 will be as good as 2005, however, remains to be seen. 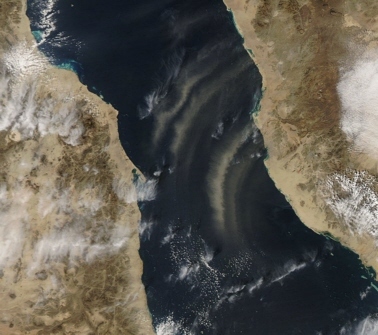 In 2005, the swarm encounter was more central; Earth passed through the middle of the cloud. 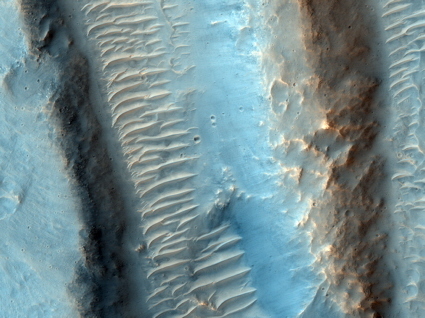 In 2008, forecasters believe we are closer to the outskirts. How much this will affect the shower, no one knows. The best time to look is during the hours around midnight when the constellation Taurus is high in the sky. Visit http://spaceweather.com for sky maps and photos of the ongoing shower. (NOV 2) If you're located in the Americas, you might want to mark November 3rd on your calendar. That's when the Moon's orbit will carry it past another bright object - Jupiter. 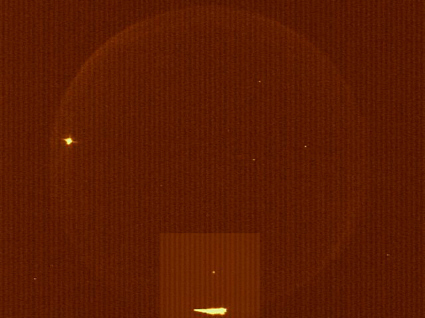 As seen from Los Angeles, closest approach for the two bodies occurs that afternoon. However, at 17:53 PST (45 minutes after sunset) the Moon and Jupiter will still be fairly close with a separation of 2.5 degrees. The separation will slowly increase as the evening progresses and the Moon continues its eastward motion. (OCT 23) A Delta II rocket is scheduled for launch this Friday evening from Vandenberg AFB. The Delta is scheduled to lift-off from Space Launch Complex 2-West, at 19:28:21 PDT during a one-second launch window. The Delta will rise vertically for a few seconds before slowly pitching over and heading south. The booster will later deliver Italy's COSMO-3 satellite into a near-polar orbit. 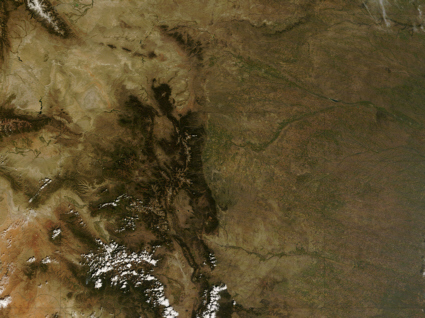 After it becomes operational, COSMO-3 will provide high-resolution radar images of Earth for military and civil users. Weather permitting, Friday's launch should be visible to the unaided eye for hundreds of miles. (OCT 15) PALMDALE, Calif. - Engineers and technicians from NASA, the German Space Agency and the Deutsches SOFIA Institut recently reinstalled the German-built primary mirror assembly into NASA's Stratospheric Observatory for Infrared Astronomy, or SOFIA, airborne observatory. Technicians removed the glass mirror from the modified 747SP observatory in April 2008 and transported it to NASA's Ames Research Center, Moffett Field, Calif., where it received its reflective aluminum coating in a vacuum chamber in June 2008. The coating, five one-millionths of an inch thick, will be reapplied as necessary during the 20-year life of the program. "The reinstallation of the mirror is a significant program milestone on the path to science observations with the SOFIA observatory in the summer of 2009," said Bob Meyer, SOFIA program manager at NASA's Dryden Flight Research Center, Edwards, Calif.
SOFIA is a joint program between NASA and the German Space Agency. The SOFIA program is managed at NASA Dryden and the aircraft is based at the Dryden Aircraft Operations Facility. NASA Ames manages the SOFIA science and mission operations in cooperation with the University Space Research Association, or USRA, and the DSI. (OCT 7) The Ventura County Astronomical Society (VCAS) will hold it's monthly membership meeting on Friday, October 17th at 7:30 PM at Vista Elementary School, 2175 Wisteria, Simi Valley. The speaker will be Mr. David Doody, from JPL, and is currently the Flight Operations Lead engineer for Cassini's Mission Support and Services Office. David started working with JPL's Deep Space Network in 1982, then joined Voyager in the outer solar system three years later. After then serving as a member of the Venus-mapping Magellan flight team, Dave joined Cassini in 1994. 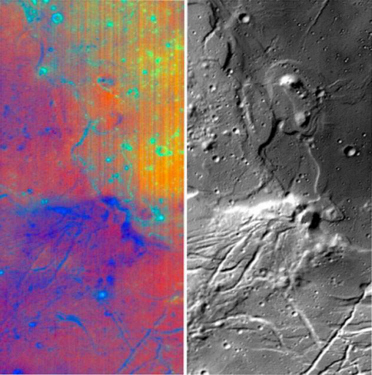 The presentation will include information about the European Huygens Probe, which Cassini carried, and completed a spectacular descent through Titan's atmosphere. Dave will describe the complex spacecraft, and share some of the stunning discoveries from Saturn and its moons, the planet's unexpected features, flying through an Old Faithful-size geyser that issues continuously from the tiny frozen moon Enceladus, the two-tone puzzle that is Iapetus, and the rivers and lakes on haze-enshrouded Titan. 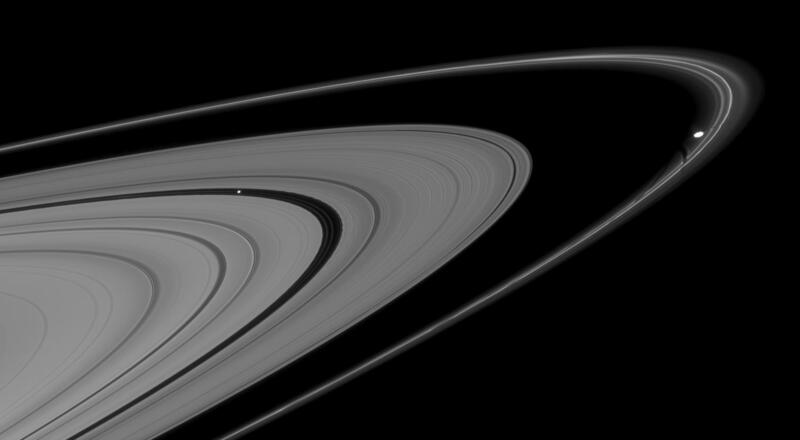 A report from Cassini wouldn't be complete without also enjoying views from high above Saturn's cloud tops, showing off the magnificent ring system in unprecedented detail from every perspective. The public is invited join us for a very interesting evening of learning about the wonderful world of Saturn. 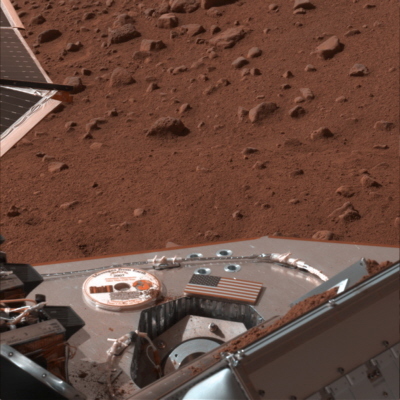 (SEP 30) New Mexico State University astronomy department head Jim Murphy has been recognized by the NASA Phoenix Lander mission for outstanding performance and his lasting contribution to the success of the Phoenix Mars lander. 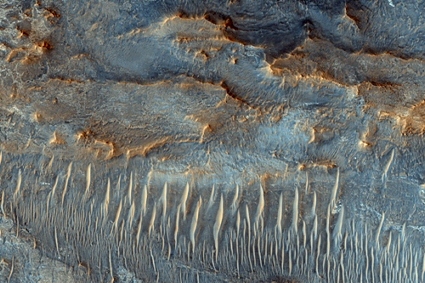 A representative from NASA's Jet Propulsion Laboratory awarded a certificate in late September for Murphy's research support of the surface environment characterization of Mars and for the design and operations of future spacecraft that could potentially land on Mars. 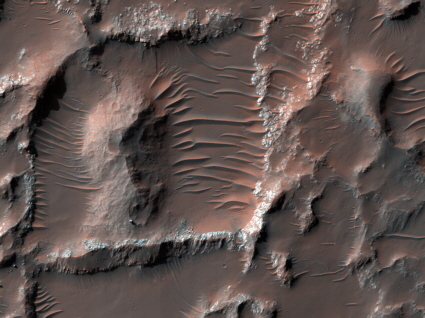 Basically, Murphy's research focuses on the atmosphere of the planet Mars and its climate, weather and wind patterns. Murphy has been teaching at NMSU for 11 years, and is in his 4th year as a department head. 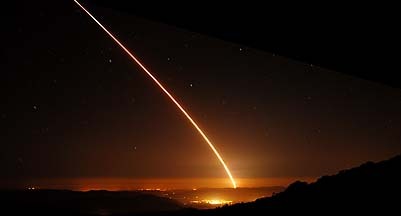 A Chimiera missile lifts-off just before midnight on September 23 from Vandenberg Air Force Base on California's Central Coast. The launch coincided with a pass of the NFIRE satellite which observed the missile to collect data for the U.S. missile defense program. Aerospace photographer Brian Lockett captured the event in this time exposure taken near Refugio Pass in Santa Barbara County. Copyright 2008, Brian Lockett. (SEP 25) WASHINGTON - Members of the public can send their names around Earth on NASA's Glory satellite, the first mission dedicated to understanding the effects of particles in the atmosphere and the sun's variability on our climate. Participants will receive a printable certificate from NASA and have their name recorded on a microchip that will become part of the spacecraft. The deadline for submitting names is Nov. 1, 2008. 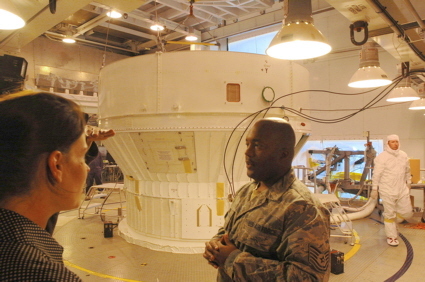 Glory is scheduled for launch in June 2009 from Vandenberg Air Force Base in California. (SEP 16) SANTA BARBARA, Calif. - Westmont's Carroll Observatory reopens for free public viewings Friday, Sept. 19, at dusk. Weather permitting, stargazers will look through the powerful Keck Telescope at Jupiter in the southern sky. Thomas Whittemore, instructor of physics, says the moon will not be visible until late Friday night, creating better viewing conditions for deep space. "We may also be able to see objects near the zenith such as the Ring Nebula in Lyra," he says. "This is the remnants of a dying star, shedding its gaseous envelop into space. 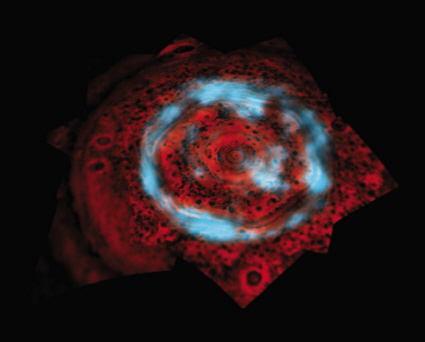 Similar to what will eventually happen to our sun, but in about four or five billion years." Whittemore says some globular clusters may be visible as the winter Milky Way starts to move higher and higher into the evening sky. The Carroll Observatory is open to the public every third Friday of the month. (SEP 6) VANDENBERG AFB, Calif. - Vandenberg AFB successfully launched a Delta II rocket from Space Launch Complex-2 at 11:51 a.m. today. The rocket carried the GeoEye-1 Satellite into a circular Sun-synchronous orbit where the satellite will begin its mission of collecting multispectral or color images of the Earth for both government and commercial organizations. Col. David J. Buck, 30th Space Wing commander, was the spacelift commander for this mission. "This launch is a testament to the tremendous team effort between the Team Vandenberg and our industry partners," Colonel Buck said. "We have one opportunity to be successful with each launch, 100 percent mission success and perfection is our standard." 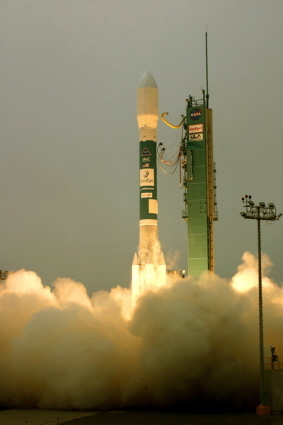 The Delta II is an expendable launch, medium-lift vehicle. It carries civil and commercial payloads into low-earth, polar, geosynchronous transfer and stationary orbits. Vandenberg is commemorating 50 years of Space Power. For half a century, Vandenberg has proudly worked with its industry partners to grant America assured access to space. (SEP 4) Boeing announced that the commercial launch of the GeoEye-1 earth-imaging satellite is scheduled for Sept. 6 aboard a Delta II rocket. The launch will take place from Space Launch Complex-2 at Vandenberg Air Force Base, Calif., with a launch window of 84 seconds opening at 11:50:57 a.m. Pacific Daylight Time. GeoEye-1, owned by GeoEye, Inc., of Dulles, Va., will have the highest resolution of any commercial imaging system capable of collecting images with a ground resolution of 0.41-meters or 16 inches in the panchromatic or black and white mode, and multispectral (color) imagery at 1.65-meter ground resolution. The satellite was built by General Dynamics Advanced Information Systems. A Delta II 7420-10 configuration launch vehicle is expected to deploy the GeoEye-1 spacecraft approximately 58 minutes after liftoff. The broadcast begins at 11:00 a.m., PDT with bars and tone and ends about 1:00 p.m.
(SEP 2) VANDENBERG AFB, Calif. - The launch of a Delta II rocket has been rescheduled for no earlier than 7 September at 11:50 a.m. due to Hurricane Hanna affecting the availability of key launch personnel located at Cape Canaveral. The rocket will lift off from Space Launch Complex-2 carrying United Launch Alliance's GeoEye-1 Satellite. The broadcast begins at 11:00 a.m., PDT with bars and tone and ends about 1:00 p.m. A one-hour test signal will be broadcast Sept. 6 from VAFB beginning at 1:00 p.m. PDT. Viewers may also access the live web cast at: geoeye.com or http://launch.geoeye.com. (AUG 28) VANDENBERG AIR FORCE BASE, Calif. - Vandenberg is scheduled to launch a United Launch Alliance Delta II rocket carrying the GeoEye-1 Satellite from Space Launch Complex-2 on North Vandenberg Thursday, Sept. 4, at approximately 11:50 a.m. 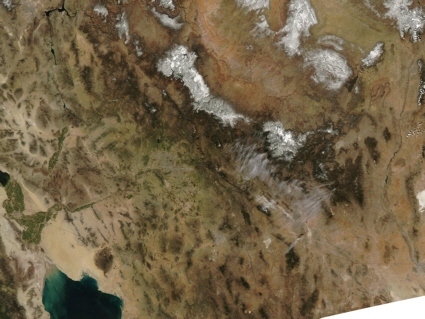 The GeoEye-1 satellite will collect high resolution imagery for a wide array of commercial and government applications. Col. David J. Buck, 30th Space Wing commander, will be the spacelift commander for this mission. Boeing Launch Services procured the launch vehicle and associated support services from United Launch Alliance. A Delta II 7420-10 configuration launch vehicle is expected to deploy the GeoEye-1 spacecraft approximately 58 minutes after liftoff. The subtle glow of the summer Milky Way graces the sky above Divide, Colorado. Also visible are a meteor in the upper right and Jupiter in the lower left. Astrophotographer Ginger Mayfield recorded the view on August 2nd with a tripod-mounted Canon EOS 30D camera, 24mm lens, and a 9-second exposure at f/1.8 and ISO 1600. Copyright 2008, Ginger Mayfield. (JUL 24) HUNTSVILLE, Ala. -- NASA and industry engineers have successfully completed the first drop test of a drogue parachute for the Ares I rocket. The drogue parachute is designed to slow the rapid descent of the spent first-stage motor, cast off by the Ares I rocket during its climb to space. 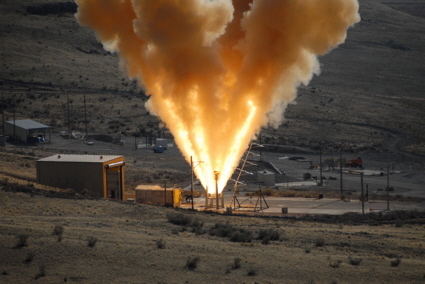 The successful test is a key early milestone in development and production of the Ares I rocket, the first launch vehicle for NASA's Constellation Program that will send explorers to the International Space Station, the moon and beyond. The drogue parachute will permit recovery of the reusable first-stage motor for use on future Ares I flights. Engineers from NASA's Marshall Space Flight Center in Huntsville, Ala., managed the team that conducted the first Ares I drogue chute test on July 24 at the U.S. Army's Yuma Proving Ground near Yuma, Ariz. Researchers dropped the 68-foot-diameter drogue parachute and its 36,000-pound load -- simulating the first-stage motor -- from a U.S. Air Force C-17 aircraft flying at an altitude of 25,000 feet. The parachute and all test hardware functioned properly and landed safely. (JUN 26) Hawthorne, California-based Space Exploration Technologies Corp. (SpaceX) successfully conducted a full launch dress rehearsal and hold down firing of the Falcon 1 Flight 3 vehicle on June 25, 2008 (Marshall Island Time) on Omelek Island, SpaceX's launch site at the Kwajalein Atoll. This test is the final step before launch of the Falcon 1 rocket. This marks the first launch pad firing of SpaceX's new Merlin 1C regeneratively cooled engine, which operated at full power with only the hold-down system restraining the rocket from flight. In the coming weeks, SpaceX will conduct a thorough review of all data prior to the opening of the launch window for flight, which runs from late July through early September. The Falcon 1 will carry the Trailblazer satellite for the Jumpstart Program of the Department of Defense's Operationally Responsive Space Office (ORS). Additional secondary payloads include an adapter system developed by the government of Malaysia that holds two small NASA satellites. 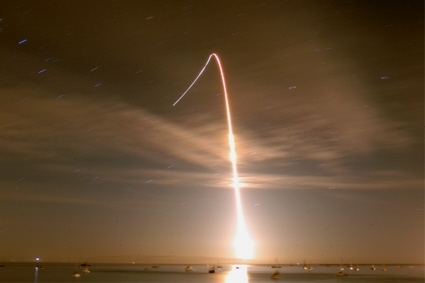 A Delta II rocket streaks across the sky on the morning of June 20th following lift-off from California's Vandenberg AFB. The Delta later inserted the U.S.-French OSTM/Jason-2 oceanographic satellite into a near-circular orbit inclined 66° to the equator. Photographer Brian Lockett set up two digital cameras near Refugio Pass in Santa Barbara County to record different portions of the Delta's flight and later combined ten time exposures to create this panorama. Image Copyright 2008, Brian Locket. Used with permission. (JUN 20) VANDENBERG AFB, Calif. - Vandenberg AFB successfully launched a Delta II rocket from Space Launch Complex-2 at 12:46 a.m. today. The rocket carried the OSTM/Jason-2 Satellite into an 830-mile near-circular orbit. Col. Steve Tanous, 30th Space Wing commander, was the spacelift commander for this mission. "This launch is a testament to the tremendous team effort between NASA, the 30th Space Wing and our industry partners," Colonel Tanous said. "We have one opportunity to be successful with each launch and 100 percent mission success is our standard." 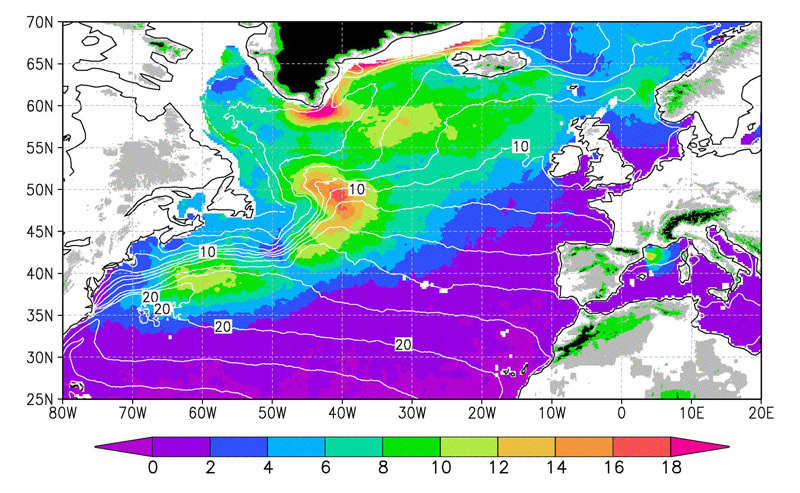 The primary role of the spacecraft will be to measure and gather information about ocean topography. The OSTM/Jason-2 Satellite will provide new perspectives on Earth's oceans using the five instruments it has aboard. (JUN 11) CAPE CANAVERAL, Fla. -- The launch of the Ocean Surface Topography Mission, or OSTM/Jason 2, aboard a Delta II rocket is scheduled for Friday, June 20, from Vandenberg Air Force Base in California. The launch window extends from 12:46 a.m. to 12:55 a.m. PDT. The satellite will be placed in an 830-mile-high orbit at an inclination of 66 degrees after separating from the Delta II 55 minutes after liftoff. 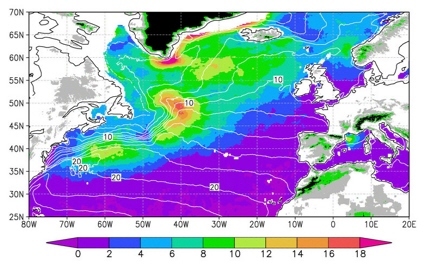 The five primary science instruments of the Ocean Surface Topography Mission aboard the Jason 2 spacecraft are dedicated to measuring ocean surface height. These measurements will be used to evaluate and forecast climate changes and improve weather forecasting. 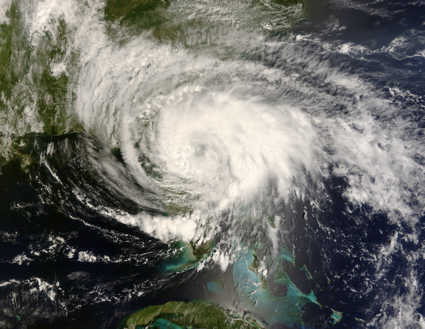 The results also are expected to help forecasters better predict hurricane intensity. 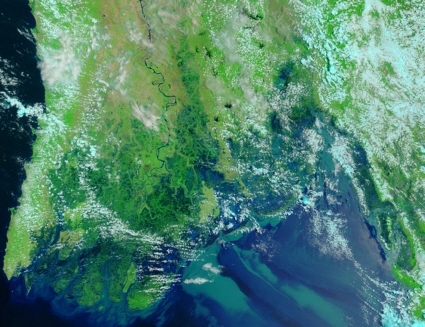 The mission is an international collaboration between NASA, the National Oceanic and Atmospheric Administration (NOAA), the French space agency Centre National d'Etudes Spatiales (CNES), and the European Organisation for the Exploitation of Meteorological Satellites (EUMETSAT). NASA's Jet Propulsion Laboratory in Pasadena, Calif., manages the mission for NASA. NASA's Kennedy Space Center's Launch Services Program is responsible for the agency's launch management of the Delta II rocket. A fireball streaks across the southern New Mexico sky on the morning of May 31. 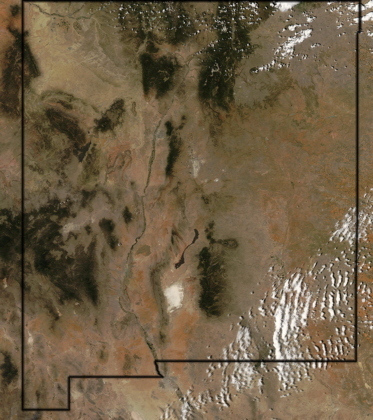 Astronomy enthusiast Thomas Ashcraft recorded the 4:28 MDT (10:28 UTC) event with his all-sky video system. He also logged 7-minutes of enhanced VHF reception as the meteor's ionized trail reflected the signals of distant television stations. 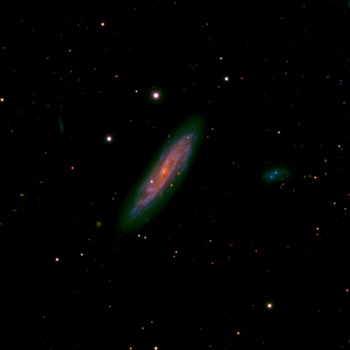 Image copyright 2008, Thomas Ashcraft. Used with permission. 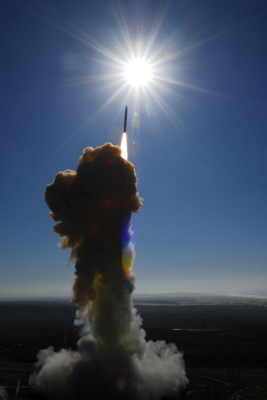 (MAY 19) VANDENBERG AIR FORCE BASE, Calif. - A Minuteman III intercontinental ballistic missile configured with a National Nuclear Security Administration (NNSA) joint test assembly (JTA) is scheduled to launch from North Vandenberg Thursday morning as an operational test to determine the weapon system's reliability and accuracy. The six-hour launch window is from 3:01 a.m. to 9:01 a.m. The missile will launch under the direction of the 576th Flight Test Squadron. Col. Steve M. Tanous, 30th Space Wing commander, is the spacelift commander for this mission. Lt. Col. Lesa K. Toler, 576th FLTS commander, is the mission director. Members of the 576th FLTS installed tracking, telemetry and command destruct systems on the missile to collect data and meet safety requirements. The missile's single unarmed re-entry vehicle is expected to travel approximately 5,250 miles, hitting a pre-determined target in the ocean 230nm south of Guam. The entire ICBM community, including the Department of Defense and the Department of Energy, will use the data collected from this mission. A long-lived storm on Saturn appears as a light area in this Cassini spacecraft image released by California's Jet Propulsion Laboratory (JPL) April 29th. The powerful electrical storm produces lightning bolts 10,000 times more powerful than those found on Earth. 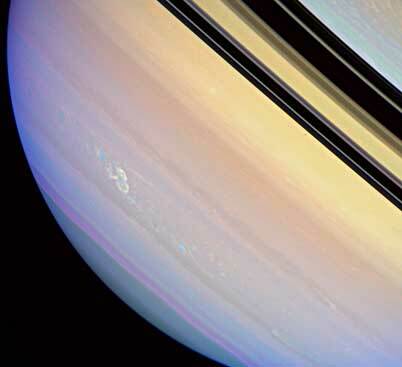 Storms on Saturn have diameters of several thousand miles and radio signals produced by their lightning are thousands of times more powerful than those produced by terrestrial thunderstorms. Cassini's radio plasma wave instrument detects the storm every time it rotates into view. JPL, a division of Caltech, manages the Cassini mission for NASA's Science Mission Directorate. 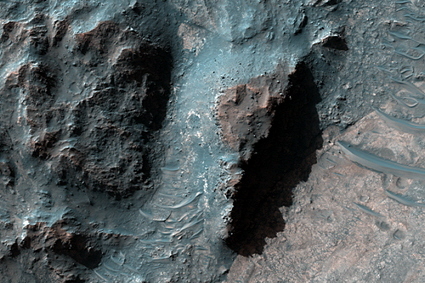 Image and caption courtesy JPL. (MAY 1) WASHINGTON -- NASA invites people of all ages to join the lunar exploration journey with an opportunity to send their names to the moon aboard the Lunar Reconnaissance Orbiter, or LRO, spacecraft. The Send Your Name to the Moon Web site enables everyone to participate in the lunar adventure and place their names in orbit around the moon for years to come. Participants can submit their information at http://lro.jhuapl.edu/NameToMoon/index.php, print a certificate and have their name entered into a database. The database will be placed on a microchip that will be integrated onto the spacecraft. The deadline for submitting names is June 27, 2008. LRO will also create a comprehensive atlas of the moon's features and resources that will be needed as NASA designs and builds a planned lunar outpost. The mission will support future human exploration while providing a foundation for upcoming science missions. LRO is scheduled for launch in late 2008. (APR 15) MINNEAPOLIS -- Alliant Techsystems (NYSE: ATK) has received a contract option worth $134 million from Northrop Grumman Corporation (NYSE: NOC) to refurbish components and replace propellant on Minuteman III Stage 1, 2 and 3 rocket motors. This award is the seventh full-rate production option under the ICBM Propulsion Replacement Program. The option is for 50 motor sets and will extend the program through August 2009. The Minuteman III Propulsion Replacement Program (PRP) began in 1998 as a Joint Venture between ATK and Pratt & Whitney. All work content was transitioned to ATK in the 2003-2004 timeframe following a contract restructure. Most of the work on the contract will be performed at the company's facilities in Utah. 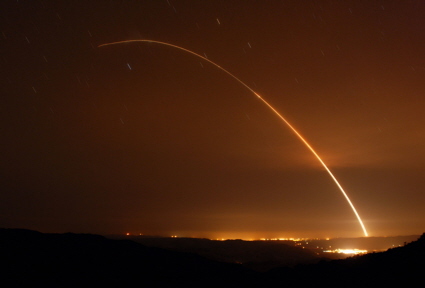 A Minuteman III missile lights up the night sky above California. 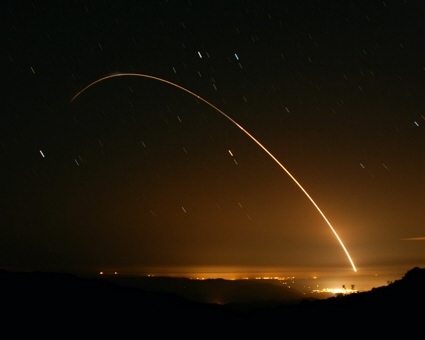 The ICBM lifted-off from Vandenberg AFB at 01:01 PDT on April 2nd and sent an unarmed warhead some 4,800 miles downrange to a predetermined target at Kwajalein in the Central Pacific. 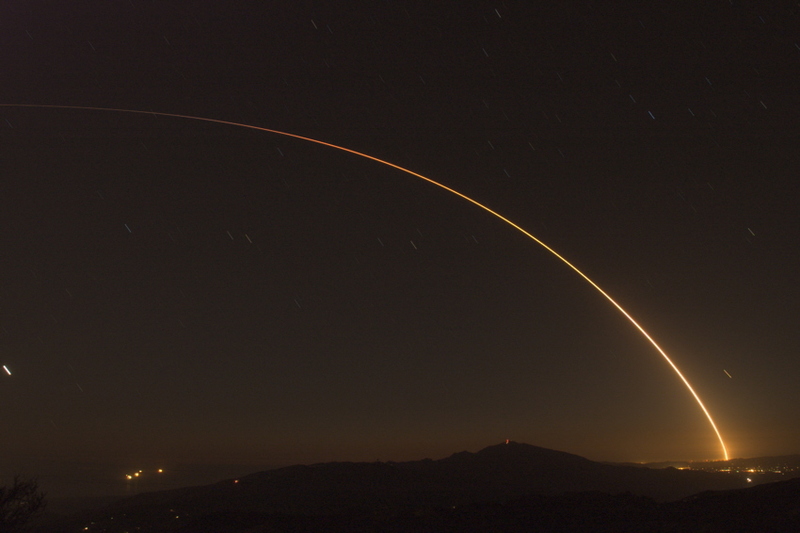 Aerospace photographer Brian Lockett recorded the launch in this impressive time exposure taken from the mountains northwest of Santa Barbara. Copyright 2008, Brian Locket. Used with permission. (MAR 31) VANDENBERG AIR FORCE BASE, Calif. - An unarmed Minuteman III intercontinental ballistic missile is scheduled to launch from North Vandenberg Wednesday morning as an operational test to determine the weapon system's reliability and accuracy. The six-hour launch window is from 1:01 a.m. to 7:01 a.m.
Col. Michael E. Fortney, 30th Space Wing vice commander, is the spacelift commander for this mission. Lt. Col. Lesa K. Toler, 576th FLTS commander, is the mission director. The missile's single unarmed re-entry vehicle is expected to travel approximately 4,200 miles, hitting a pre-determined water target in the Marshall Islands. (MAR 27) California-based SpaceX reports the firm conducted the first three-engine firing of its Falcon 9 medium to heavy lift rocket at its facility outside McGregor, Texas on March 8, 2008. At full power the engines generated over 270,000 pounds of force, and consumed 1,050 lbs of fuel and liquid oxygen per second. A total of nine Merlin 1C engines will power the Falcon 9 rocket. The test series continues with the addition of two engines for a total of five, then finally the full compliment of nine engines. With all engines firing, the Falcon 9 can generate over one million pounds of thrust in vacuum - four times the maximum thrust of a 747 aircraft. 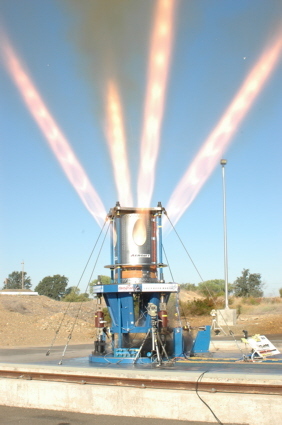 The Merlin 1C next generation liquid fueled rocket booster engine is among the highest performing gas generator cycle kerosene engines ever built, exceeding the Boeing Delta II main engine, the Lockheed Atlas II main engine, and on par with the Saturn V F-1 engine. The first Falcon 9 remains on-schedule for delivery to Cape Canaveral, Florida, by the end of 2008. The first-ever Atlas V launch from Vandenberg AFB traces an arc in the early morning sky on March 13. Matt Batryn captured the event in this time exposure from Port San Luis, California. Clearly visible are the rocket's trajectory including a lateral maneuver and numerous star trails caused by the Earth's rotation. Batryn used a Nikon D70S digital SLR and an exposure of 207 seconds at f/3.5 and ISO 200. Copyright 2008, Matt Batryn. Used with permission. (MAR 11) VANDENBERG AIR FORCE BASE, Calif. - Vandenberg is scheduled to launch an Atlas V rocket carrying a National Reconnaissance Office payload, Thursday with a current launch window of 2:00 a.m. to 4:00 a.m. from Space Launch Complex-3 on south Vandenberg. Col. Steve Tanous, 30th Space Wing commander, will be the spacelift commander for this mission. This will be the first Atlas V launched from Vandenberg as well as the first launch of the year. (MAR 9) If the sky is clear this Friday (March 14), look for the close encounter of the Moon and Mars. From Los Angeles, closest approach occurs at about 19:58 PDT (02:58 UTC) during evening twilight. 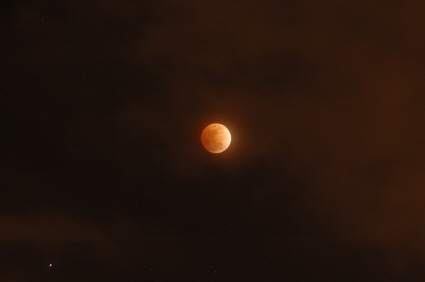 At that time, the first quarter Moon will lie about 1.3° north of the + 0.5 magnitude Red Planet. The close pairing of the two objects is somewhat misleading. 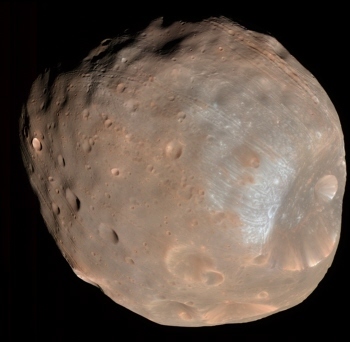 Although they will be lined up in the same part of the sky, the Moon will be about 247,000 miles from Earth while Mars will be 109 million miles further away. (MAR 2) The Moon will occult (pass in front of) the planet Venus on March 5 for observers across in the central U.S., Mexico, and the portions of Southwest. The unusual daylight event should be easily visible in binoculars or small telescopes. (FEB 27) VANDENBERG AIR FORCE BASE, Calif. - The Atlas V rocket that was scheduled to launch from Space Launch Complex 3 here, Feb. 29, has been postponed as a precautionary move to avoid possible debris from the non-functional National Reconnaissance Office satellite, which was intercepted Feb. 20. The rocket carrying a NRO payload will be delayed for approximately two weeks, and will be the first Atlas V launch from Vandenberg as well as the first launch of the year. When established, a revised launch date will be posted. (FEB 20) A network of land-, air-, sea- and spaced-based sensors confirms that the U.S. military intercepted a non-functioning National Reconnaissance Office satellite which was in its final orbits before entering the earth's atmosphere. At approximately 10:26 p.m. EST today, a U.S. Navy AEGIS warship, the USS Lake Erie (CG-70), fired a single modified tactical Standard Missile-3 (SM-3) hitting the satellite approximately 247 kilometers (133 nautical miles) over the Pacific Ocean as it traveled in space at more than 17,000 mph. USS Decatur (DDG-73) and USS Russell (DDG-59) were also part of the task force. The objective was to rupture the fuel tank to dissipate the approximately 1,000 pounds (453 kg) of hydrazine, a hazardous fuel which could pose a danger to people on earth, before it entered into earth's atmosphere. Confirmation that the fuel tank has been fragmented should be available within 24 hours. 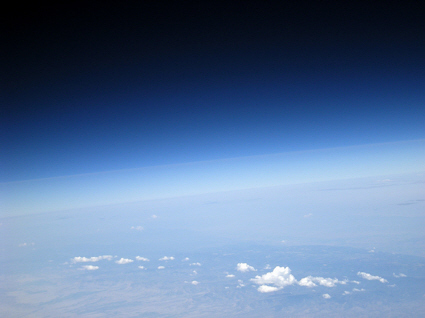 Due to the relatively low altitude of the satellite at the time of the engagement, debris will begin to re-enter the earth's atmosphere immediately. Nearly all of the debris will burn up on reentry within 24-48 hours and the remaining debris should re-enter within 40 days. The payload, known as "USA 193", was launched aboard a Delta II rocket from Vandenberg AFB on 2006 December 14. (FEB 15) A decaying U.S. satellite carrying approximately 1,000 pounds of hazardous material will be "engaged" the Defense Department announced Thursday. Known as "USA 193", the classified payload failed following launch from Vandenberg AFB in California in late 2006. It is expected to reenter the atmosphere in early March. Because the satellite was never operational, analysis indicates that approximately 2,500 pounds of satellite mass will survive reentry, including 1,000 pounds of hazardous hydrazine propellant. The DoD plans to intercept the satellite using a ship-launched Aegis SM-3 ballistic missile interceptor. The U.S. government said the purpose of the intercept is to eliminate the threat from the hydrazine to people on the ground. 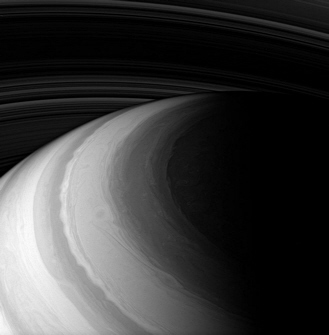 The Cassini spacecraft uses polarized infrared light to peer beneath hazes that obscure the flowing cloud bands in Saturn's atmosphere. 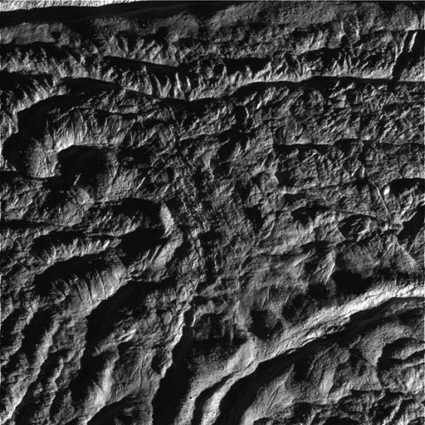 The brighter areas are features higher in the atmosphere than the darker areas. 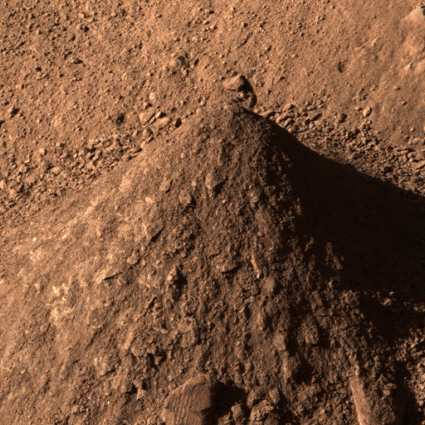 The view was obtained last month from a distance of approximately 577,000 miles (929,000 kilometers) and released this week by the Jet Propulsion Laboratory (JPL) on February 6. Located in Pasadena, Calif., JPL manages the Cassini mission for NASA and also designed, developed, and assembled the orbiter and its onboard cameras. On February 1, see the solar system's brightest planets appear their closest together. (JAN 28) WAUKESHA, WI -- Venus, the planet nearest to Earth, and Jupiter, the solar system's biggest world, are headed for a morning meeting. As the brightest planets in the sky, the pair makes a conspicuous sight in eastern twilight. During the next week, watch Jupiter edge ever closer to Venus. As the solar system's brightest planets draw together, they'll begin to resemble a pair of celestial headlights -- an appropriate comparison for an event that graces the morning commute. (JAN 4) Solar physicists have been waiting for the appearance of a reversed-polarity sunspot to signal the start of the next solar cycle. The wait is over. A magnetically reversed, high-latitude sunspot emerged today. This marks the beginning of Solar Cycle 24 and the first step toward a new solar maximum. Intense solar activity won't begin right away. Solar cycles usually take a few years to build from solar minimum (where we are now) to Solar Max (expected in 2011 or 2012). It's a slow journey, but we're on our way! 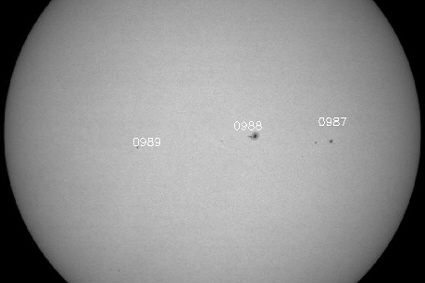 Visit http://spaceweather.com for pictures of the new sunspot and updates. The Quadrantids, one of the best but least-known meteor showers, will shine in the new year. 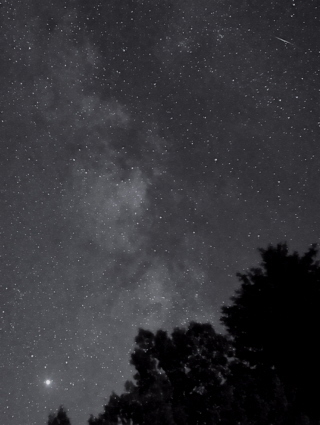 (JAN 2) WAUKESHA, WI -- The annual Quadrantid meteor shower is one of the year's best. In 2008, this shower will be especially good because it's at its best under a nearly New Moon. So, not only will observers see bright meteors easily, they'll also count quite a few fainter "shooting stars." 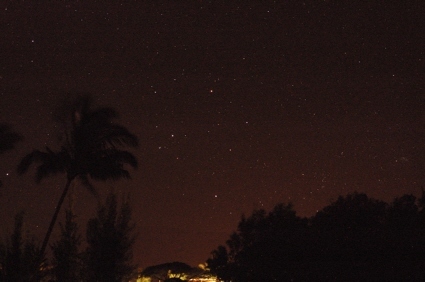 The Quadrantids peak between 1 a.m. and dawn January 4. This is the best time to see the meteors. New Moon occurs January 8, so when the thin crescent Moon rises around 5 a.m. on the 4th, its light won't create much of a distraction. Observers will need a clear, dark sky to see more than just a few Quadrantids. "Dark" means at least 40 miles from the lights of a large city. No equipment is necessary to view this spectacle; the eyes alone work best because they provide the largest field of view. Copyright © 2008-2016, Brian Webb. All rights reserved.